And it wasn't that simple. Seb didn't disappear - he eked out a gap on Bottas of just north of two seconds by lap 12, but then Bottas started to eke back. And come the solitary pit stops Bottas indeed attempted an undercut, pitting first. Seb came in a lap later and only just held the Finn off. And on the soft tyres the Ferrari looked a bit more comfortable, keep the Merc at arm's length. But again it wasn't quite that simple. All due to the afore-mentioned Lewis Hamilton. 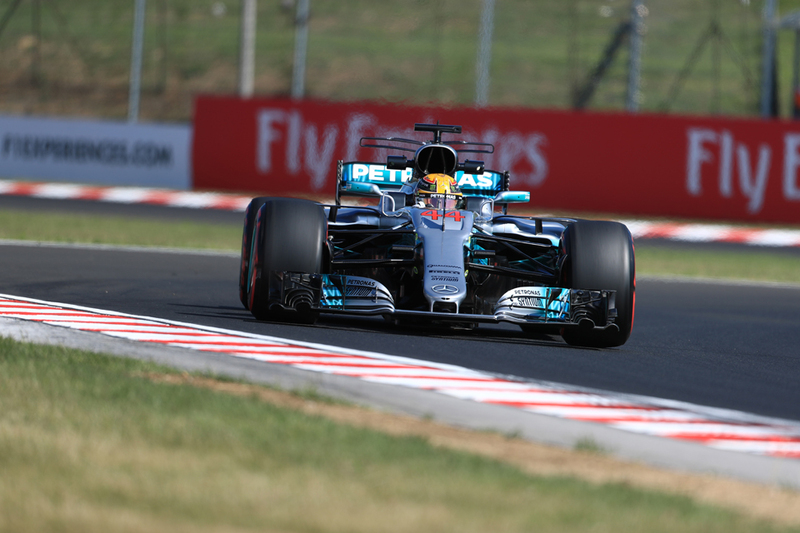 Lewis's progress was rapid, getting up to P5 in 20 laps, and only being 17.5 seconds off the lead at the point he did so. Then he started to set fastest laps in the vast stretch of clear air there was to Max Verstappen's Red Bull in fourth. Once everyone else pitted Lewis - able to run longer having started on the more durable soft tyre - actually led from last, about four seconds up the road from Vettel. Some speculated he may be used to 'back' Vettel into team mate Bottas, but Lewis had his own race to run and pressed on. Eventually he pitted after 44 laps of the 71, emerged fifth and 19 seconds adrift, and again lit the timing screens up purple. Indeed he took a second out of Seb first time around on his new supersofts. He got by Verstappen with 10 laps to go for fourth place, the Dutchman by now struggling with his tyres. Lewis then in a blink closed on Kimi Raikkonen's Ferrari in third, and it occurred that he might actually win... He was six seconds off the leader Seb with six laps to go, the leader literally within sight. There his progress ended though. He got with Kimi but locked up at turn 1 in his excitement and lost momentum. It was never regained. "I wasn't too worried. I had a good run out of the last corner," said Kimi typically later. And Seb's victory was thus safe. There was more to Seb's win in other ways too. It gave Ferrari some overdue succour after a troubled spell, as well as its first win since before the summer break. And in truth even with all of Lewis's frolics Seb likely had it well in control out front. Plus he didn't bin it in qualifying. "It has been a tough couple of weeks for us so nice to get it [the win] today and have both cars up there," Seb admitted. "It has been a tough race. 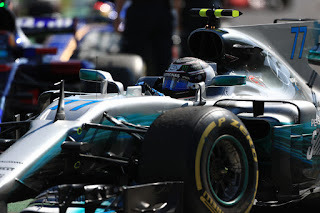 I spoke with Valtteri and the pace was all more or less the same, no room for mistakes." 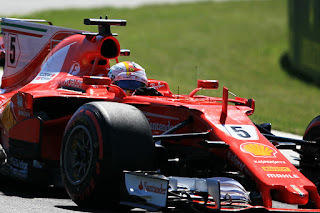 It also was a reminder that for all of the Maranello treading on its own tail (by team and driver), as Jock Clear noted "the pace has always been there and again you saw it today. 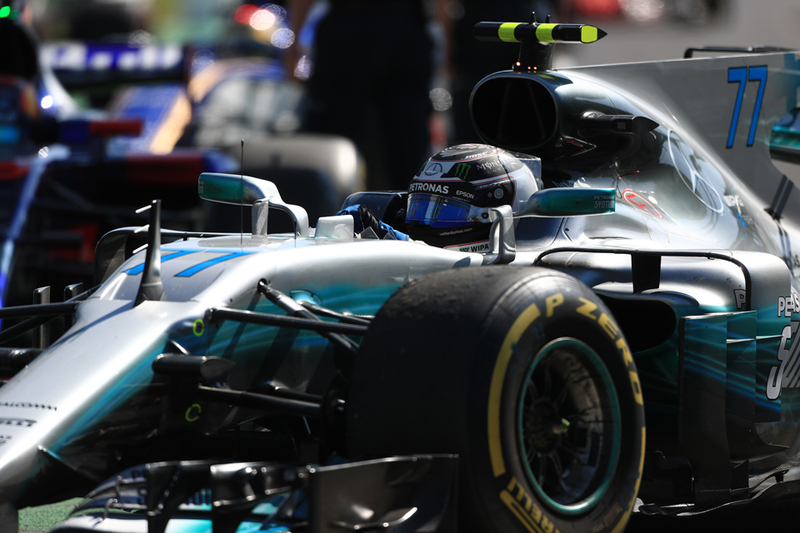 Racing is not just about how quick your car is..."
Bottas also pedalled hard on his way to second, and admitted the opening seconds were crucial. "It's very disappointing we lost in the race start," he said. "After that it was very close between us. I was trying to put pressure on Sebastian but it didn't lead to anything more." And all of them might reflect at a quiet moment that Lewis - even accounting for a new engine, plenty of fresh tyres and that an early safety car helped him - finishing just five seconds behind after starting from the pits without particular craziness such as mid-race safety car aiding him is something to consider. Lewis certainly enjoyed himself. "It was fun," he said. "It felt reminiscent of my karting days when I always started at the back. "Waking up this morning my goal was just to redeem myself after yesterday's mistake and really do the team proud and try and get the points back. I was trying to get back to third but I just ran out of tyres in the end." 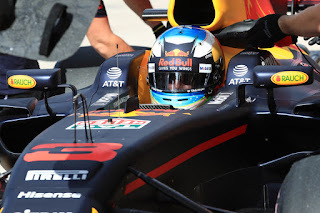 Daniel Ricciardo's progress was also sharp, in his case from starting 14th after a grid penalty for new engine parts then getting involved in a first lap scrape and dropping to the back (it also in part heralded the early safety car which Ricciardo switched tyres under). As is his way he seemed to have braking points several miles after those of his opponents, which he enacted several times on the way to sixth. "[We rose] not as quickly as Lewis but I think relatively [as quickly] for our pace," Ricciardo reflected. Verstappen meanwhile came home fifth, in a lonely run in which he rarely sounded happy on his radio. He at least got fastest lap after talking his team into letting him change tyres for a second time late on. As for the rest, for the second year in a row here there scarcely was a dry eye in the house and all to do with Felipe Massa. For the second year in a row he was bowing out at home just before his F1 retirement, and this time he finished seventh to be best of the rest after a combative run. He got a message from son Felipinho on his slowing down lap, then they allowed him to address his flock on the podium. 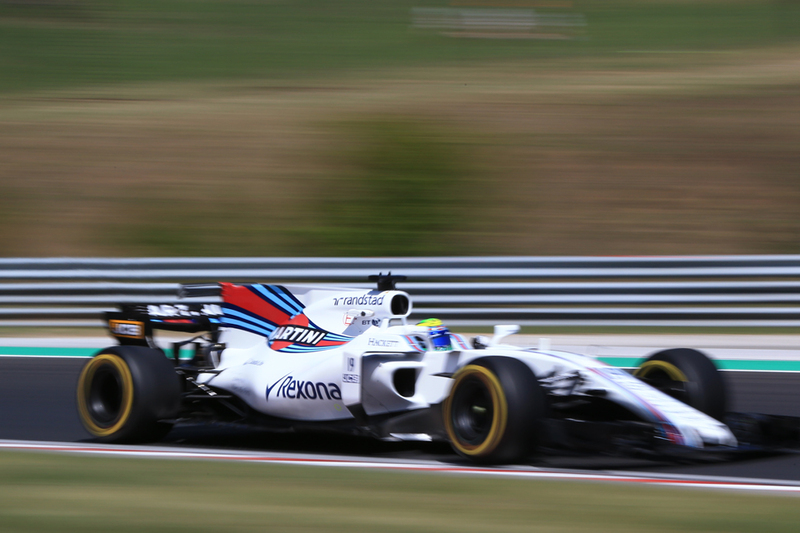 "It is hard to explain my feelings...today was like a victory," said Felipe appropriately. The man he held off was Fernando Alonso, another having a typically combative run. Massa cruised past him on the long Boxes section when the early safety car went in and Alonso then stayed on the Williams' tail for pretty much the rest of the distance. Yet the urge from his Honda vs the Merc didn't allow him to do enough about it. Come the end Nando was almost pushing Felipe along the track. "We have an amazing car, we just can't overtake. The lack of power is amazing," noted Nando with typical pointedness. Sergio Perez finished close behind in ninth for Force India, after an offset strategy which didn't really work. Nico Hulkenberg completed the scorers, Renault's reliability worries apparently blunting his pace. And whatever else went on from turn one there only was going to be one winner. That's one part that was simple.